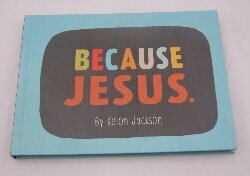 “Because Jesus” is filled with small, funny reminders that God’s love is all around. Jackson, who writes for Hallmark, uses simple things most people come into contact with on a daily basis- such weather, technology and even food- to show that. “He did not come to condemn. One of the many ways God is not like the comment section on YouTube,” one page of the book states. Jackson’s parents Leonard and Kathy realized their son loved to write at a young age and always referred to him as a writer. That declaration helped him get to where he is today. As a child he would make up elaborate story lines and act them out with his Hot Wheels cars. Jackson would then get his twin sister Kourtney, who was the first person to listen to his creative ideas, to be his audience. “It was basically a soap opera starring Toyotas,” he joked. 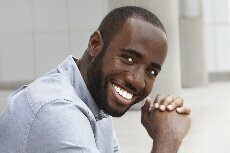 Jackson is a Clark Atlanta University graduate who enjoys filmmaking, volunteering and watching TV in his spare time. Fans can expect more books from him in the near future. If he gets his way, some of them will be about his home state and the teenage condition- always with extra doses of humor and optimism.